Sure it's not a baseball game? Ha ha ha...that was cute, fishducky. 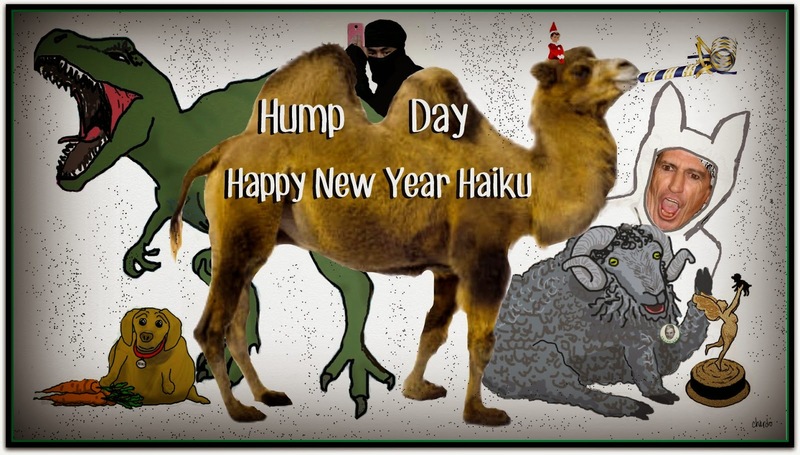 Happy Haiku New Year! What a great idea this is for a yearender, composing a Haiku poem which touches on the highlights and lowlights of 2014. I can picture Adam Sandler's Opera Man singing it on SNL. I feel very fortunate to have crossed paths with you in 2014. Over the months I have watched The Flipside grow into a bustling hub of communication. I couldn't be happier for you. You have become one of the greatest friends I ever had, dear Cherdo, and for that I am grateful. Once again I wish you and your family a safe, happy, healthy and prosperous 2015. God bless! Thank you for your friendship and consistent support of my blog blabbery. The thing that makes the Flipside fun is friends and our alternate reality, ha ha. Here's to 2015! May you have the best year possible, full of health and happiness. Happy, happy new year! Loved it! And Happy New Year to you and yours! Right back at ya, Catherine! Happy New Year! ALL The best in 2015!!!!! Michael Di Gesu, I hope you're having a wonderful first New Year's Eve in your new abode (look across the lake view and raise a glass for me, too!). I hope your 2015 is everything you want and more! How well done!! Very funny-Happy New Year!! Happy New Year's to one of my favorite Canadians! Have a creative, fun and happy year. Excellent. I might avoid air travel completely. It won't be too difficult because I can't afford to go anywhere. Happy New Year! You and me both sistah. Wasn't that a lovely sentence? How colloquial and quaint. Love ya, Janie-kins! Happy New Year!! I wish I could do them well. Nice blog, like your poem. well said.